You don’t want to take unnecessary risks when it comes to working at heights, which is why you need to consult experts in total height safety. When you purchase your equipment from an accredited supplier like All About Lifting & Safety, you can be assured you are getting a quality product. It also helps to have an understanding on how to choose the right equipment for total height safety. Here are some factors you should consider when selecting your working at heights equipment. Quality: You need to ensure the equipment meets local safety standards and is sold by an accredited supplier like All About Lifting and Safety. Working conditions: You will want to consider the slope and stability of the ground, as well as the typical weather conditions. If you’re working in an area with high winds this needs to be taken into account. Also what is the structural condition of any towers or buildings you will be working on and how much space do you have for access? Distance and consequences of a fall: You should check the deployment length in relation to a fall height to ensure equipment will be effective in minimising injury. You also need to ensure that evacuation from a deployed fall arrest system is possible. Use: How often you work at height and for how long each time will determine overall risk and affect impact the most appropriate equipment. We are trusted experts in supplying, installing, testing, and servicing all lifting and safety equipment. 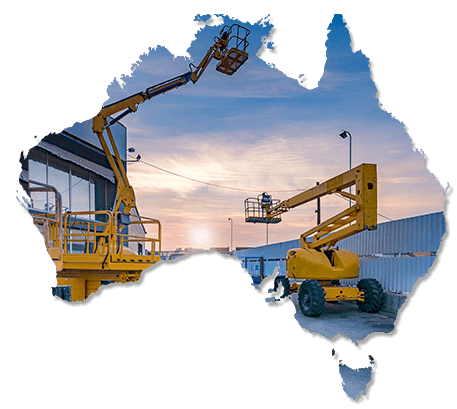 In additional to our total height safety solutions, we provide our repair, testing and maintenance services on-site for your convenience, as well as at our multiple locations across South East Queensland and in New South Wales. If you can’t find a suitable product or solution online, just Contact Us and we’ll happily answer any of your queries and advise you on how to ensure your total height safety. We’re experts in lifting and safety equipment.